Magic City Radar is determined to bring you all of the news surrounding the events of the upcoming 74th annual Magic City Classic, a gridiron war between Alabama State University and Alabama A&M University, Saturday, October 31, 2015 at Birmingham’s historic Legion field. 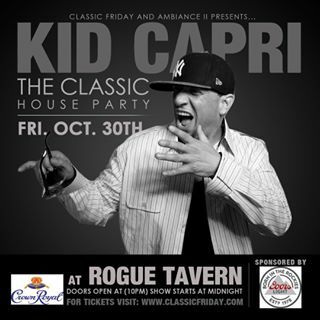 In that vein, we are excited to announce that Birmingham’s Rogue Tavern, in conjunction with promotions company Ambiance II, will bring you the 5th annual “Classic House Party” hosted by legendary hip hop DJ Kid Capri, following the contest. The event has been hosted by Capri four out of its five years of existence, with iconic rapper Biz Markie hosting it when Capri was absent. Doors open at 10 p.m., and the party starts at midnight. 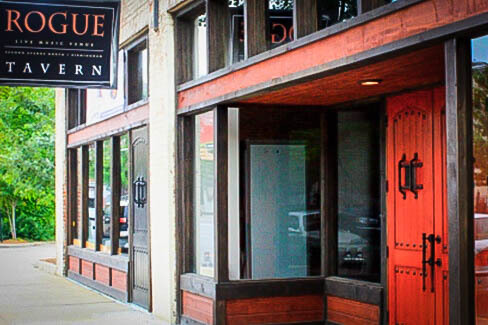 Rogue Tavern (4 out of 5 stars) is located at 2312 Second Avenue North in Birmingham and is described as “a cozy, brick lined tavern known for plentiful beers on tap, area-sourced pub grub and live music groups”. Offering indigenous fare including Starters such as Rogue Wings, prepared in your favorite sauce and Gulf Lump Crab Cake, prepared in champagne butter and pepper remoulade, Sandwiches including the Southern Brisket Sandwich, topped with caramelized onions and horseradish, Main dishes including Shrimp & Grits and Pot Roast, and a bevy of Desserts including Vanilla Bean Brulee, the trademarked “perfect blend of Restaurant & Bar” has developed reputation as a preferred venue for food, drink, and fellowship in our city. For more information on Rogue Tavern, visit their website at www.roguetavern.com or call at 205-202-4151. Capri, born David Anthony Love Jr. in the Bronx, New York, used his family’s Zenith record player to scratch records before he was ten years old. Hailed the “Prime minister of mix tapes” (the generic name given to any compilation of songs recorded onto any audio format, which enthusiasts believe that by carefully selecting and ordering the tracks in a mix, an artistic statement can be created that is greater than the sum of its individual songs), Capri turned his passion into a $2000.00 per night career hosting club gigs and creating the aforementioned mix tapes. 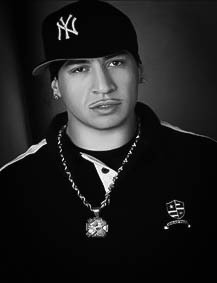 Once promoters caught on to the economic value of the mix tape, they followed the Kid Capri bandwagon and began promoting him all over the country. 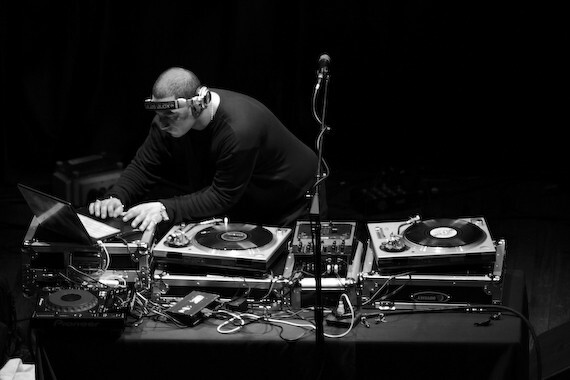 Kid became a star in the early 1990’s as a part of the landscape of Russell Simmons wildly popular HBO comedy series Def Comedy Jam, where he gave the world its first taste of live hip hop, as the first DJ to perform live on television as a DJ. From there he spent the balance of the nineties touring with rap heavyweights such as Jay Z, The Lox, Nas, Foxy Brown, R. Kelly, and Genuwine, and on the “Puff Daddy and the Family Tour” in 1998 and 99. He is also a meticulous studio “scientist” whose stellar production can be heard on songs he produced for artists Busta Rhymes, Mary J. Blige, 50 Cent, and more. In addition, he has been tapped by none other than media mogul Martha Stewart to host her Christmas party, and he shined along pop stars Michelle Branch, Mya, Liz Phair, and the aforementioned “Queen of hip hop soul”, Mary J. Blige, at the 2003 TJ Martell Foundation Gala. Magic City Radar is thrilled that he is coming to our city to again power our party this classic season. We sat down with Gregory Ramsey of Ambiance II, the promoter who is bringing Kid here, to find out what drives the DJ’s demand Classic weekend, and what impact his presence has on the Classic footprint. Magic City Radar: “What is your company’s mission, and how does that translate to events surrounding the Magic City Classic”? Gregory Ramsey: “Since 2003 our mission has been to provide quality, upscale entertainment for mature adults in unique venues. Our party at Rogue tavern is unique in that it is a hip hop themed event which is held at a site which is not traditionally a hip hop meeting hall, but it gives the event an eclectic quality that we think our patrons enjoy”. Magic City Radar: “How far is Ambiance’s reach? Do you promote event outside of Alabama? Gregory Ramsey: “Yes. We’ve promoted events in Nashville, Tennessee, Huntsville, Alabama and Atlanta, Georgia, in addition to Birmingham”. Magic City Radar: “Why choose Rogue tavern five years ago, and why choose Kid Capri over a younger DJ”? Gregory Ramsey: “We started with Rogue because it partnered with us, and we stay with them for that reason. We chose Kid because he’s a hip hop staple, easily one of the most influential DJ’s and personalities in hip hop history, and we wanted him to host our event”. Magic City Radar: “What affect do Kid’s performances here have on cultural landscape of Birmingham”? Gregory Ramsey: “I can’t answer that question. I know that the crowd for this show has not been as diverse as we’d like it to be, but for Magic City Classic participants and entertainment seekers who want a fun, exciting, classic hip hop after party, the event has been a huge success”. Magic City Radar thanks Gregory Ramsey for this access, and wishes Ambiance II and Rogue Tavern fantastic success this Magic City Classic season and beyond. For questions about Ambiance II and its services, contact Gregory Ramsey at GregoryRamsey@aol.com. Posted in ENTERTAINMENT, MAGIC CITY RADAR ALERT and tagged #djkidcapri, #roguetavern, @magiccityradar. Bookmark the permalink.